Do you have a dream of becoming a psychic? Are you looking for ways to be able to strengthen your psychic abilities and hone your talents? If this sounds like you, then you might want to consider psychic meditation. Many incredible mediums have used these techniques to help enhance their powers and give them better insight into the world beyond – and you can too! To help you become a better psychic, psychic meditation just might be the solution you’ve been looking for! 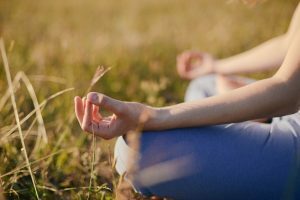 Different types of meditations can focus on different priorities. So, this means that in psychic meditation, you’ll be focused on enhancing your psychic gifts. In doing this, you will be looking to contact spirits and your unique spiritual guides. This will help you in developing your psychic gifts! Doing psychic meditation tends to be a little bit more challenging than typical meditation. This is because you’re looking for a specific outcome, rather than simply to clear your mind and feel spiritually refreshed. For best results, we recommend starting by choosing a crystal to use. During the meditation, you will hold this in your hand, or you might even hold more than one in your hand if you feel a connection with several crystals that you would like to use. Enter into the process with an open mind and patience, and if you do it every day, expect to contact your guides – the first step to developing psychic abilities! Your meditation space should be somewhere comfortable and where you can be alone and peaceful for around 15 minutes. Prepare the space by turning off all of your electronic devices and gathering a pen and notebook nearby, so you can write down any impressions that come through. Sit in a comfortable chair that supports your back with your feet planted on the floor. Imagine they are deeply rooted to the ground, like the roots of a tree. Then, place your hands in your lap, palms upward. This signifies to the spirits that you are ready to receive information. You probably know that meditation has a lot to do with breathing. For best results, close your eyes and take deep, belly breaths. Do this by breathing in through your nose, feeling your stomach expand. Inhale as you count to three. Then, hold the breath for three seconds – if you can’t hold it that long, just do so for as close as you can. With practice, you’ll be able to hold for the full three seconds. Finally, exhale – again, to the count of three. Do this several times until you feel completely relaxed and are breathing at a calm, even pace. There’s no need to keep counting throughout the actual meditation. You should go forth into your meditation with clear intentions. Start with asking your spirit guides or angels to protect you. You don’t need to know who your guide is – you only need to ask that low vibration energies won’t be let through during your meditation. Then, set your intention that your session brings about your highest and best results – helping you to increase your psychic abilities and to grow as a medium. Now, it’s time to really delve into the meditation. You have raised your vibration and you’re prepared to receive intuitive messages from your spiritual guides or loved ones in the next life. Your next step is to visualize something that, to you, represents opening. This helps to further open yourself to receive information from the spirits. This might be a book opening, a light, a flower in bloom, or a candle being lit – or whatever works for you. Your next step is to sit quietly for around ten minutes, or as long as you feel comfortable. Pay attention to your body, as it serves as your antenna during this time. Very subtle impressions might come through, like images cropping up in your mind’s eye, physical sensations such as needles, pressure, emotions, words, names or phrases, or simply a sense of knowing. These impressions come to everyone in different ways. Whatever way they manifest to you, write them all down, so you can refer to them later! Great work! You have opened yourself up to the messages of your spirit guides using psychic meditation. Now, you need to properly end your meditation by closing down and becoming grounded – this is an important step, so don’t skip it. Otherwise, you might find yourself picking up on energies all day long, becoming bogged down with baggage that isn’t yours. Remember the image you used to open yourself to messages? Now close it. If you lit a candle in your mind to begin, blow it out. Close the book. Watch the flower go back to a bud. Then, thank your spiritual guides and ask them to protect you from other energies and prevent them from coming through. It’s common to have trouble with this step, but just ask your guides for help. Then, you need to finish the process by grounding yourself. These are many ways to ground yourself and help you lose any dazed or flighty feelings that follow your meditation. You can do this by going outside to stand on the grass, eating something close to the Earth like root vegetables, and more.